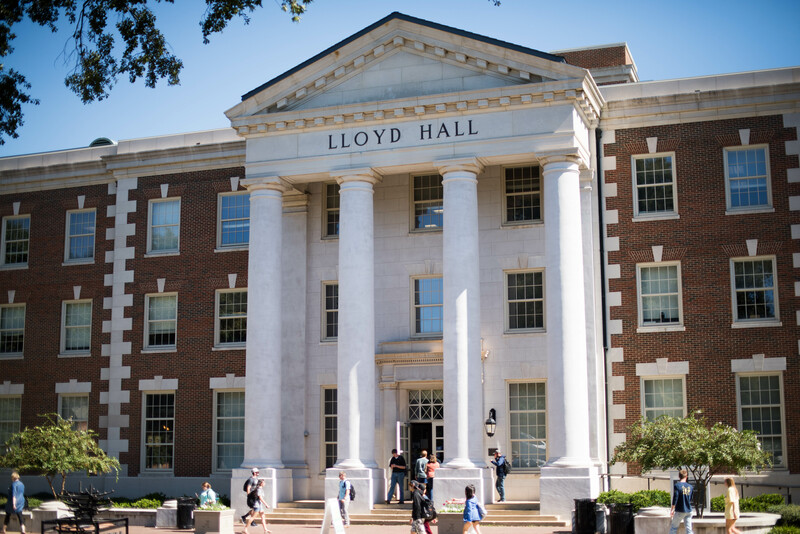 Built in 1927 as the new home for the expanding Chemistry Department, Lloyd Hall was named in honor of Stewart J. Lloyd who was the first Dean of the School of Chemistry, Metallurgy, and Ceramics. The building existed in that capacity for 77 years until 2004 when Shelby Hall was constructed and the department moved. 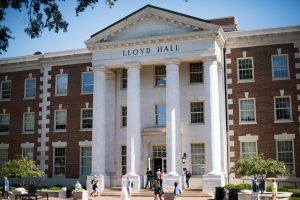 Lloyd Hall currently houses classrooms for interdisciplinary sciences. The building is also home to New College in the College of Arts and Sciences, the Classroom Resource Center, the Writing Center, and the McNair Scholars Program. The ground floor of Lloyd has a small lounge area and a food court consisting of Pizza Hut, Chick-fil-A, and Boar’s Head Brand. An outdoor area for eating is also available to the left of the building.